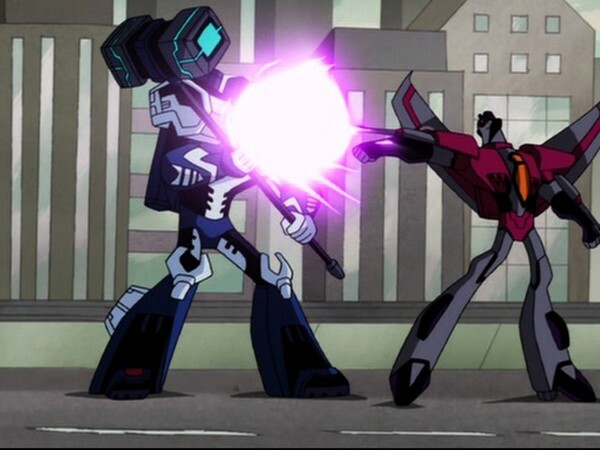 The story in this season wasn't very satisfying as it was executed poorly to where the main plot is left to a bare minimum and you get a lot of "disaster of the week" episodes that have the Autobots battling Decepticons and rejected "Ben 10 (2005 - 2008)" and "Batman (1966 - 1968)" villains. Some of the "disaster of the week" episodes were actually quite decent with an interesting story but sadly this was the case for only a few episodes with the other 70% of the show being the bad episodes. Another problem this show has is that a good chunk of the episodes were boring with a very bland story and lackluster action. The humor in this show was surprisingly funny and I did find myself laughing at it. 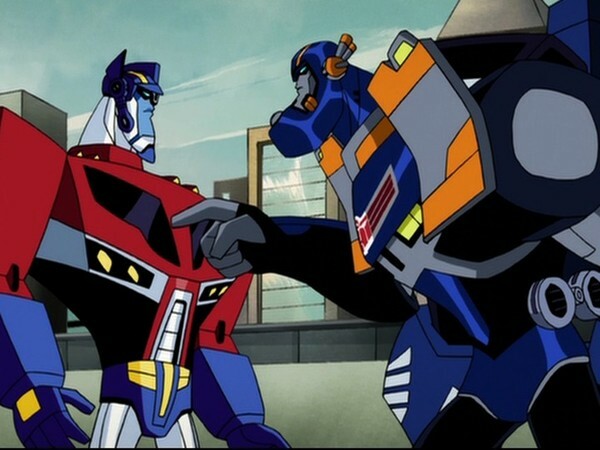 Characters in this show were both good and bad as I really liked how they made Optimus Prime much more like how Optimus Prime should be as he is very heroic and tries his best to keep damage to a minimum. Sadly he suffers from having a boring personality and ends up being generic. Optimus Prime isn't the only character to suffer from this as a whole bunch of Transformers have dull cookie cutter personalities that makes them very generic. Some characters do not suffer from this problem and end up having some very charming personalities like Starscream and the Humans. 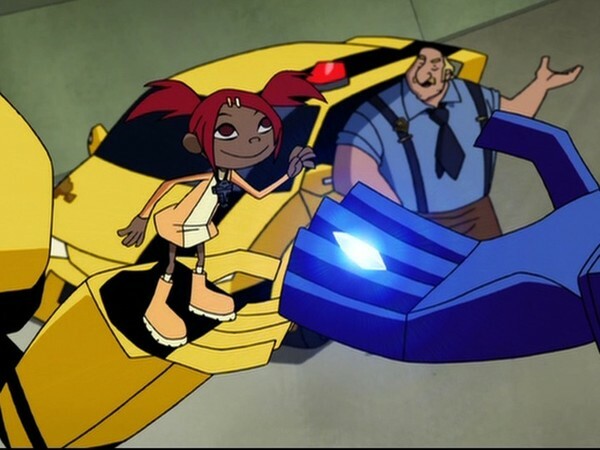 One Transformer that was interesting was Wreck-Gar who was played by "Weird" Al Yankovic although it was best that he was a one episode character because I can picture Wreck-Gar getting on peoples nerves if he was a regular character but that was due to the writing of the character as he is quite ecstatic. There was also an awesome cameo from Spike and his heavily pregnant wife Carly from the original G1 series. The art-work in this show doesn't try to look as much as an anime styled show like the last season was and settles for a more cartoony look. I'm not saying that's a good thing as it looks really odd with most of the Transformers not looking like robots but more like aliens and masked wrestlers (Sincara Prime at your service and ready to stomp down Rey Mysteritron). There were some good designs like Starscream, Bumblebee, and the Constructacons. The humans in this series look better than before and have more of a consistent look rather than trying to make each human look so different from one another that they don't look like humans at all. The backgrounds in this show were pretty basic but I did like them as they helped set the mood during each scene. The animation in this show looks terrible as it is very cheap looking and is also very choppy to where it looked like they skipped frames to get this show out on time. Just like season one they used the Michael Bay styled shaking camera for some battle scenes but unlike season one they mainly used it for scenes with moving vehicles which was more appropriate. The reason why I said "mostly" is because of the episode "Mission Accomplished" where they liked to use that effect for almost every action scene and it did get very annoying but thankfully not as annoying as how it was used during the first season. The voice acting in this show was alright and while not terrible, the acting on most of them could've been stronger. 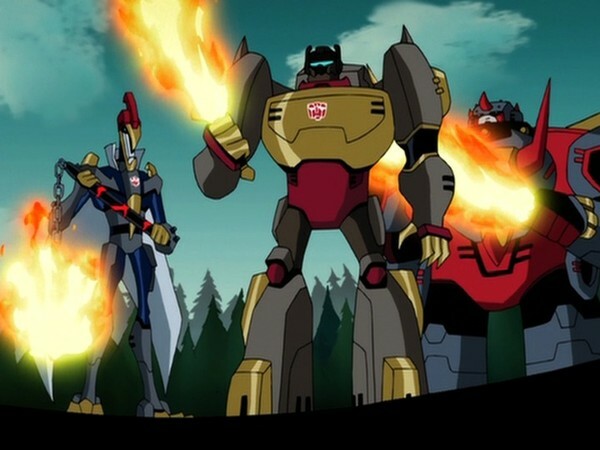 There were some voices that matched up with the characters really well like the voices for Starscream, Bumblebee, and Sari. The acting can also sound forced during some scenes and it was a little bit uncomfortable to sit though. The soundtrack in this show was mainly remixed versions of the original "G1 Transformers (1984 - 1987)" soundtrack and it sounded decent but unoriginal. There isn't a bad amount of special features included on this release. 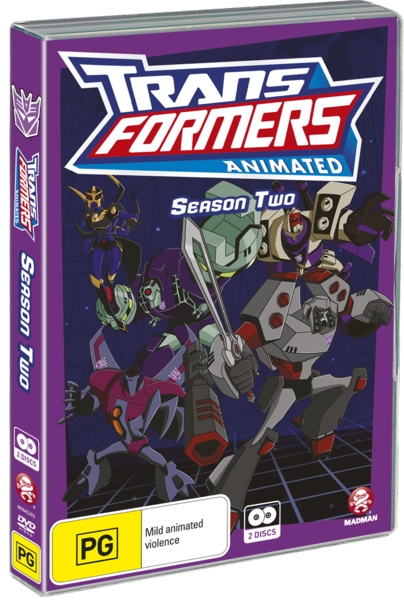 You get two bonus animated shorts with the first one being about Starscream mocking Megatron behind his back while he is doing a big speech. The other short has Lugnut smashing up a huge hole only to have Blitzwing make a comedic punch line. The two animated shorts weren't bad at all with the first short being clever and while the second short was more childish it did end up making me laugh. There is also a character profile section and to be honest it wasn't entertaining at all but it does give you a preview of what's to come in season three but other than that this feature is skippable. Last but not least we have some audio commentary tracks from the artists and toy designers on "Mission Accomplished" and "Garbage In, Garbage Out". The audio commentary tracks ended up being the most interesting thing on this entire release although I don't agree with everything they say and especially during the parts where they were talking about the artwork but in the end it was an interesting and entertaining listen. Overall while there were some good episodes you will find that the bad outweighs the good with boring, uninteresting episodes. You know what the sad thing is? This is a huge improvement over the first season but sadly it is not enough. If they fix all the problems for the third season then this show should finish with a bang (a review of season three is in the works if you didn't read between the lines). This season while improved is still a no for me. Not recommended.